Water marbling - it's enough to strike fear in in the heart of most people who have tried it. Every once in a while I get brave and decide to take on the battle of me vs water marbling. I think I won this battle. I actually like how it came out! 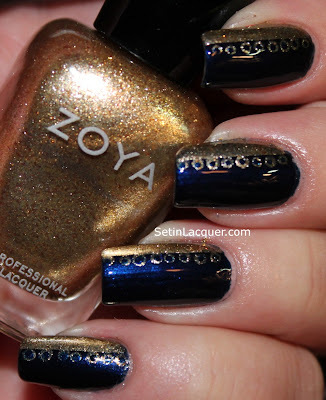 I used Zoya Natty and Purity. I use a small condiment cup or a shot glass filled with distilled water for my marbling. The smaller area seems to give me a little more control over my design. After I had marbled all of my nails I decided to use some dots. I really like the dots in the design. An added bonus of dotting is that you can conceal imperfections like bubbles with the dots. I recently acquired a Jade Holographic polish - Violeta. Let me tell you it is gorgeous! The formula is great. Two coats provided wonderful coverage and the dry time was pretty quick. 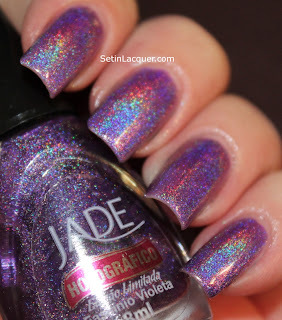 Jade Violeta is a wonderful shade of, well... violet. It has a strong holographic factor. I definitely think I need a few more of these! Jade nail polishes can be purchased at Llarowe.com for $7. I really wanted to do a rich and dramatic manicure. 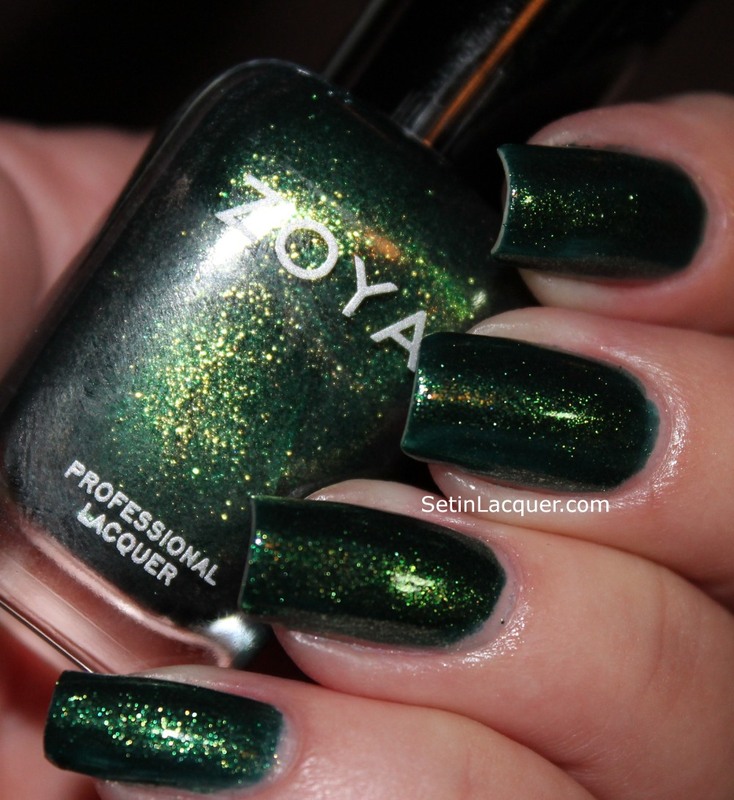 So I decided to use Zoya Ibiza and Ziv. Zoya polishes are great polishes with an outstanding formula. Ibiza is a deep, almost black, cream blue. 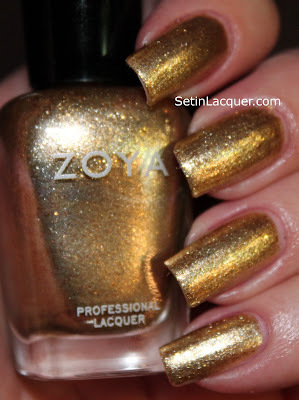 Ziv is an elegant gold shimmer polish. I started out with a base coat to provide a smooth surface for the manicure and to protect my nails from staining. Blue polishes are known to leave some of their color behind when removed. 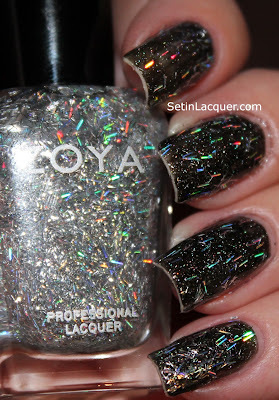 I then used two coats of Zoya Ibiza for my base color. As I applied it I realized I could probably have gotten away with one coat but I almost always use two coats. After I was sure my nails were dry (and with the help of Seche Vite Fast Dry top coat) I used scotch tape to my nails to aid in getting a straight line. Then I used Zoya Ziv over the tape and the exposed part of the nail. When you use scotch tape always make sure to place it on the back of your hand a couple of times to get most of the adhesive off before you put it on your nails. Then take the tape off quickly after you have applied the polish. I used a dotting tool and applied dots of Zoya Ziv along the edge. 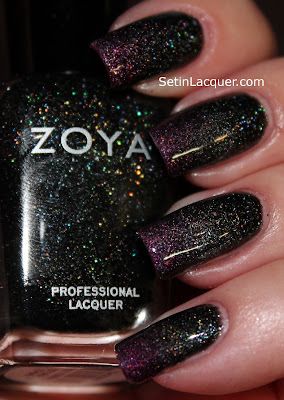 Then after that dried I applied smaller dots of Zoya Ibiza in the center of the previous dots. I topped it off with a coat of Seche Vite Fast Dry top coat. I really love the dramatic look of this. I may just have to do this more often. I am trying to master the one-stroke painting technique. I think I have a way to go before I get a handle on it. It's something that looks so easy... yet it obviously isn't. At least not for me. I used a base coat of Sabrina Sato Lambada. Then I applied a coat of Seche Vite to dry my nails faster and provide a smooth coat for the paint. I used acrylic paint for the pumpkins. Using a flat brush I dipped each half of the brush. One half in the orange paint and one in the black. Then I swiped the brush on paper to blend the colors. Then with a smooth motion (or it was supposed to be a smooth motion) I swipe a half circle on each nail. Then I reversed it and painted an opposite half circle to form the body of the pumpkins. Then I repeated the design in a smaller fashion to fill in the body of the pumpkin. The black and the orange made the texture of the pumpkin. But when I was filling in the center of the pumpkin I had to put more orange than black on the brush or it was too dark. Then I added a stem with green paint. I tried to add leaves but as a friend told me... they look more like jalapenos! They weren't connected at all. I thought about painting a vine; but then I thought that would be too much and make it busy. I know I sometimes add too much to a manicure. 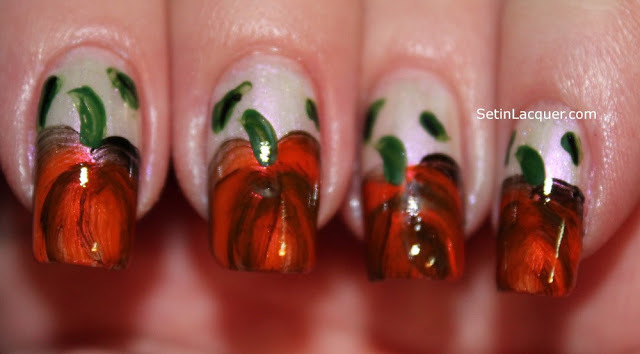 Add a top coat to seal the nail art. I need a lot of practice still. But I think maybe someday I will get the technique mastered. I will keep trying though. I love the look of one-stroke nail art. I thought I would try a Halloween mani that was a little out of my comfort zone. So I tried to free hand a witch. I am not sure it looks like a witch. I think it does... but then I know what it is supposed to be. I used Barielle Jordana's Skinny Jeans for a base color and then created a gradient by sponging on Barielle Gold Digger. Then I used a Qtip to create a yellow moon using Milani Yellow Whiz. I painted the trees, bats and trees using a black striping polish. I also drew some vertical lines on the tip and painted over it lightly using Gold Digger. I think this added some "spooky" depth to the effect. 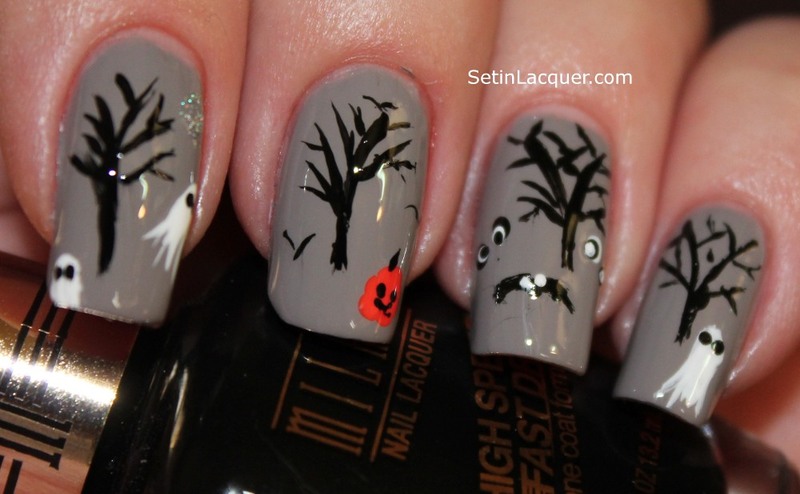 Halloween nail art with witches, trees and bats. 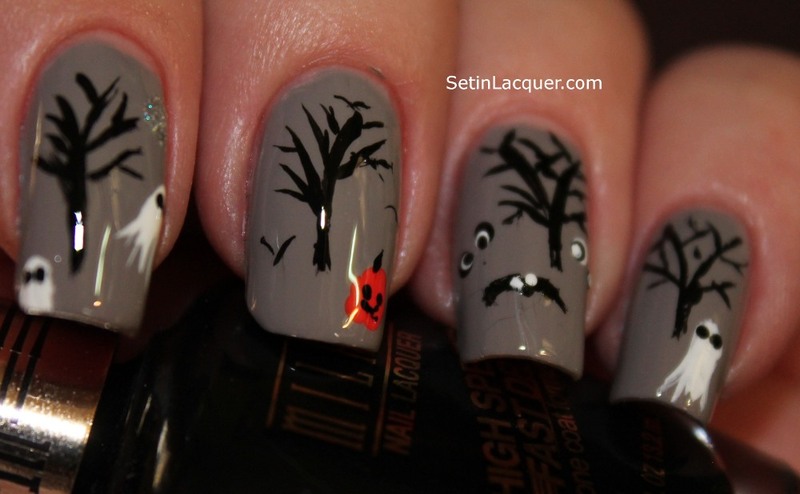 What is going to be on your nails for the Halloween weekend? 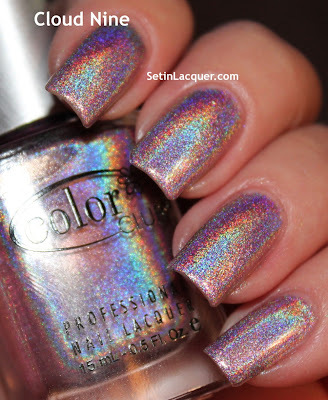 Just a quick post tonight to share a gradient mani with you. Gradients are always a good fallback mani for me when I can't figure out what to do or when I don't have much time or energy. For this mani I used a base color of Barielle Jordana's Skinny Jeans. Then I sponged the gradient on using Barielle Gold Digger. Both polishes were great to work with. Barielle has a wonderful formula and a decent dry time. I only used one coat of Jordana's Skinny Jeans. It is a wonderful shimmery navy blue shade. 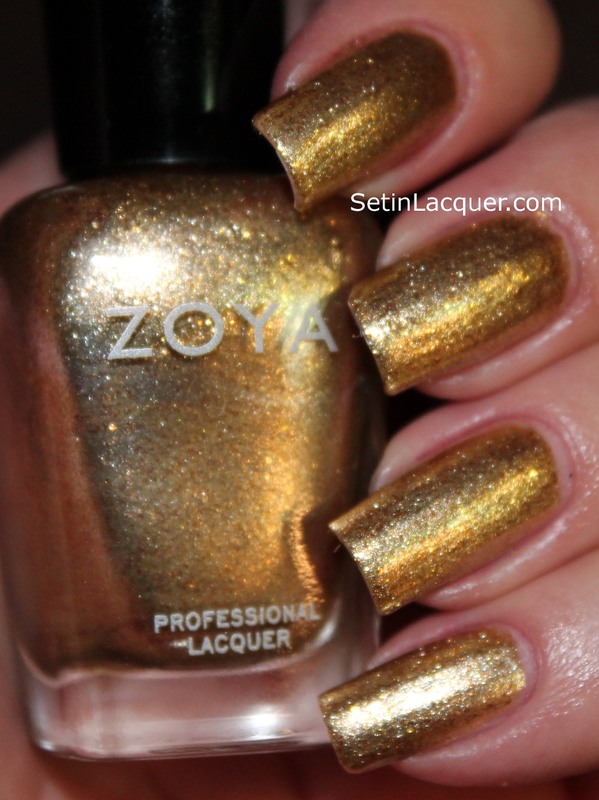 Gold digger is a gorgeous gold shimmer polish. These polishes were sent to me for review. All opinions are my own. It's another "Go Pink" Wednesday post. The wonderful lady behind Finger Painting Fingers is coordinating "Go Pink" to promote breast cancer awareness. October is Breast Cancer Awareness Month. I know I have said it before but - make a early detection plan and encourage others to do the same. For my Think Pink mani I used Nicole OPI Change the World and Look at Me, Look at Me. 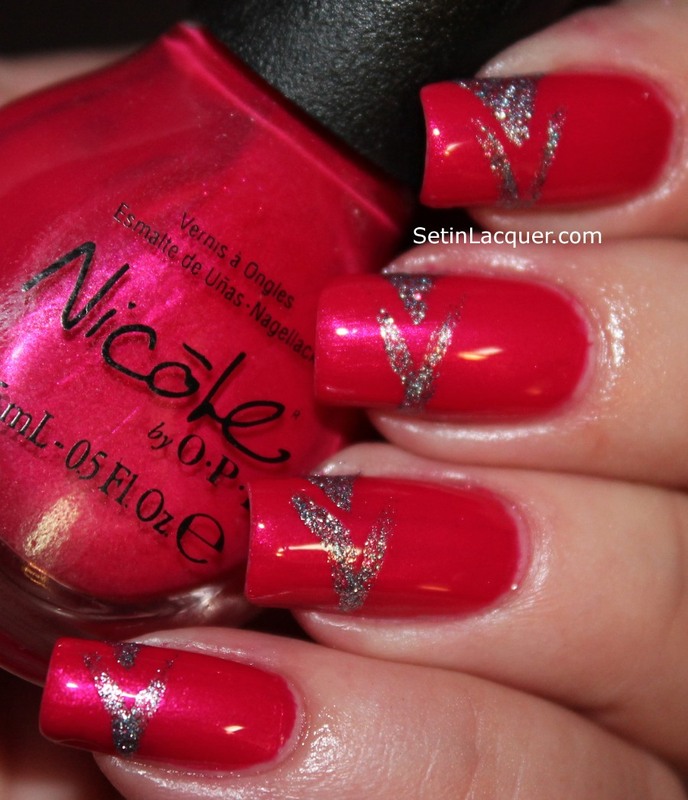 Change the World is a wonderful vibrant pink polish with a lot of shimmer. It has a great formula and two coats provided opacity. Look at Me, Look at Me is a glitter polish with silver and pink microglitters. I used a nail art brush to paint the diagonal and v lines. 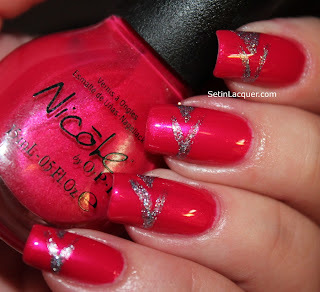 Make sure to look at all the other Go Pink manis by some super amazing bloggers. I enjoy doing nail art. Focusing on the details relaxes me - sometimes. Sometimes it just makes me cross eyed. This one fell into both categories. I used Milani nail polish for this manicure. I really like using Milani for nail art. It's thick enough to give me the detail that I want. For the base color I used Milani Just Grayt. For the details I used Milani Black Swift, Jiffy Orange and White on the Spot. A thin nail art brush and a dotting tools were all the tools I used. The detailed work was just that. Even if you don't use them for everyday use a pair of reading glasses really helps to see as you are applying the details. It's getting close to Halloween and I am seeing lots of amazing spooky nail art out there. 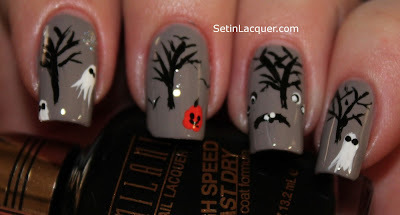 I decided (late last night) to try my hand at some creepy nail art. This was actually easy. Although it looks like the spiders have already been smooshed. Simple lines and dots make up this spiderweb and its inhabitant. 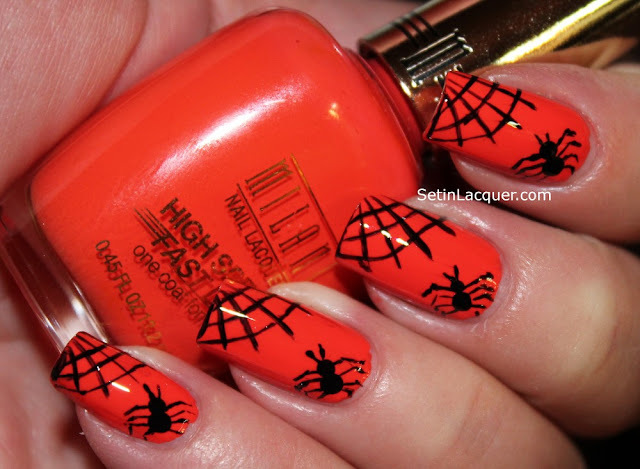 I used Milani Jiffy Orange and Black Swift nail polishes for this mani. What are you going to wear on your nails for Halloween? 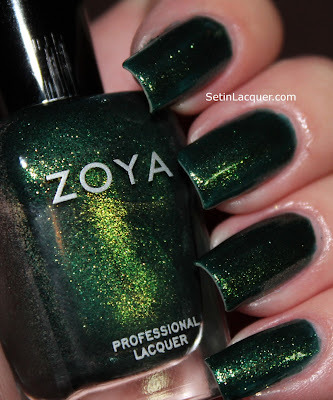 Zoya has released their holiday collection - Ornate. 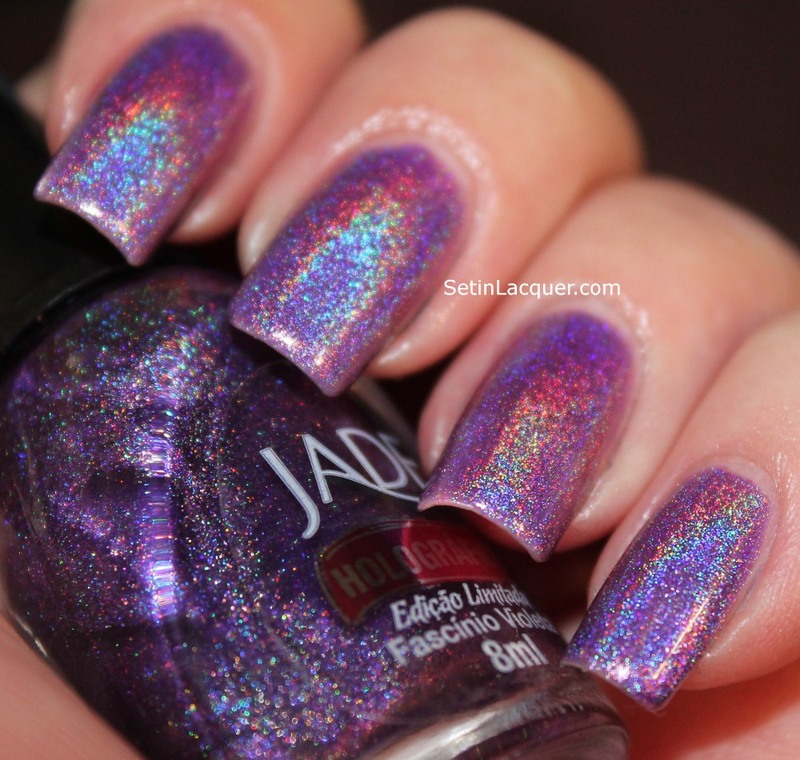 This collection is full of sparkle, shine and gorgeous colors. The formula on these six polishes is amazing. The rich colors apply easily and have a quick dry time. 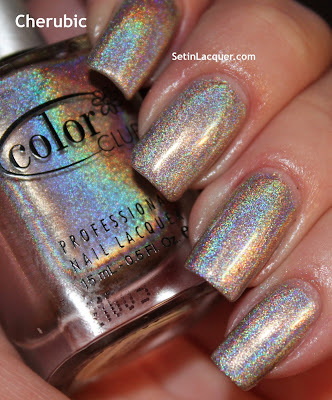 Micro particles capture the light and emit prisms of colors resulting in a phenomenal manicure. Zoya polishes have never disappointed me when it comes to rich, pure colors. These colors are no exception. These polishes work well for a subtle gradient. Here I have used a base color of Storm and applied a gradient of Aurora. This truly looks like a magical starry night sky. 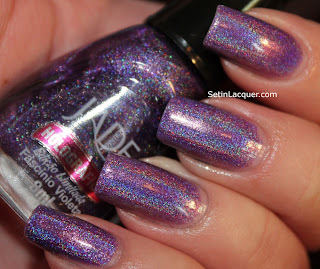 Aurora - is a rich purple with high concentration of micro fine diamond holographic glitter. 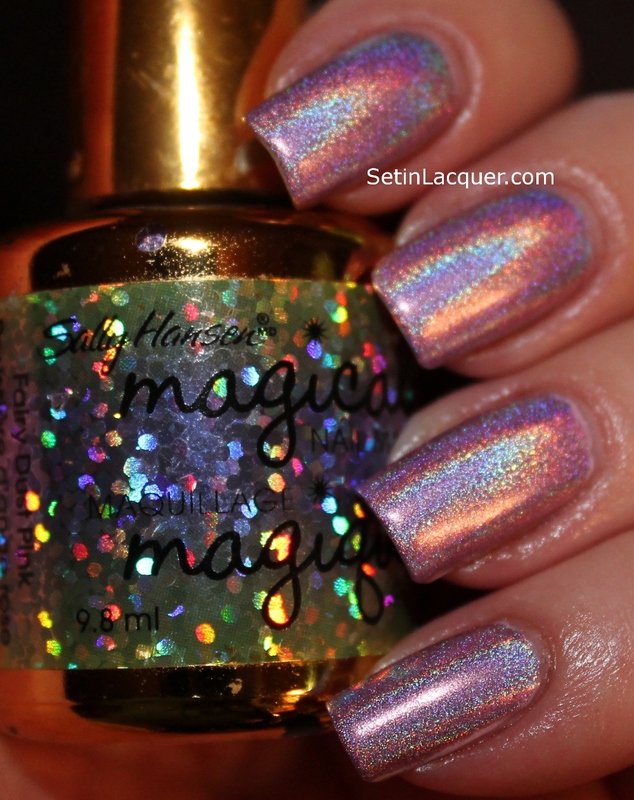 This holographic glitter provides a wonderful rainbow of color. 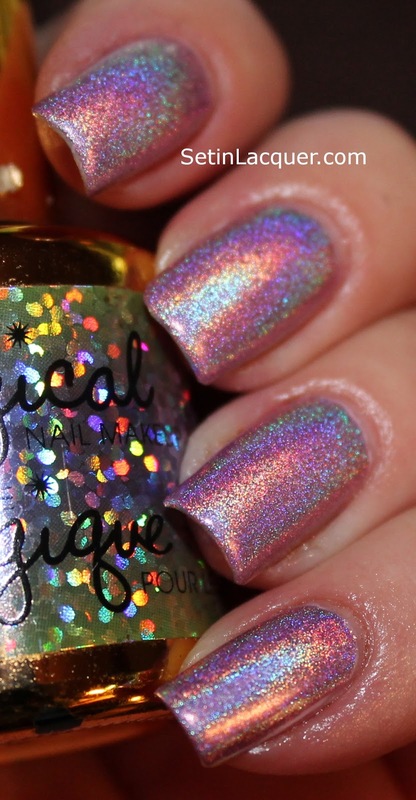 Electra - A wonderful holographic bar glitter in a clear base. The bar glitter went on relatively easy - for bar glitter. Bar glitter can be challenging to apply but results in magnificent rainbows of light. I put it just on the tips over Aurora. Here I applied Electra over Storm. Lots of rainbows in this one. 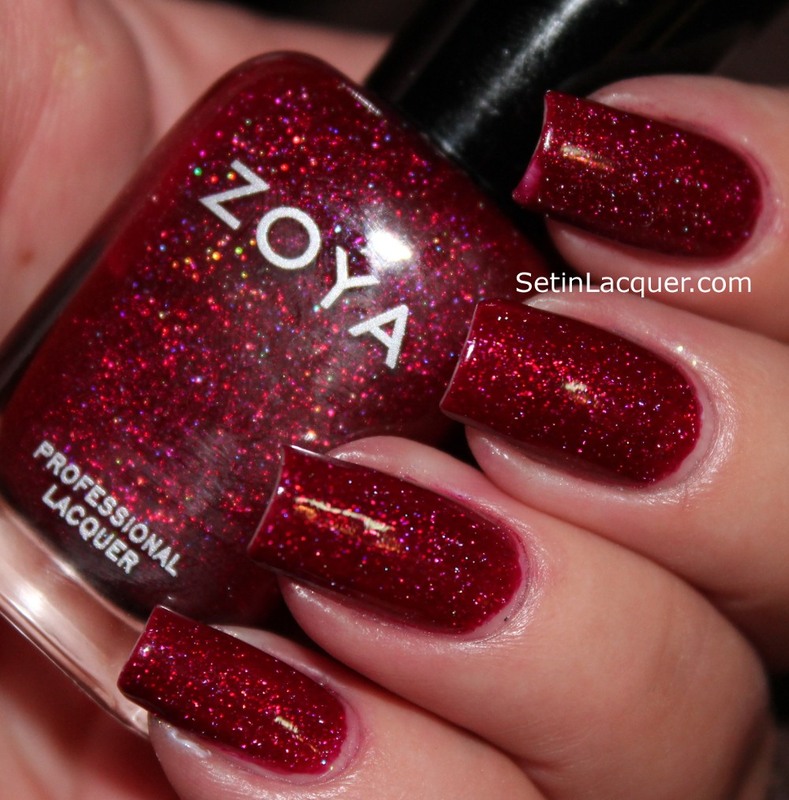 Blaze - is a wonderful berry red with a high concentration of micro fine diamond holographic glitter. This can be considered a vampy red. Logan - is a forest green with dense, foil-like yellow-gold and blue-green duochrome shimmer. This has wonderful coverage. 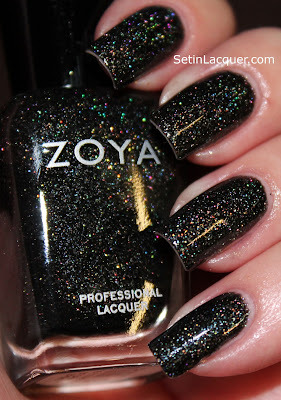 Storm - is a deep true black with a high concentration of micro fine diamond holographic glitter. This will go perfect with any dress for those holiday parties. 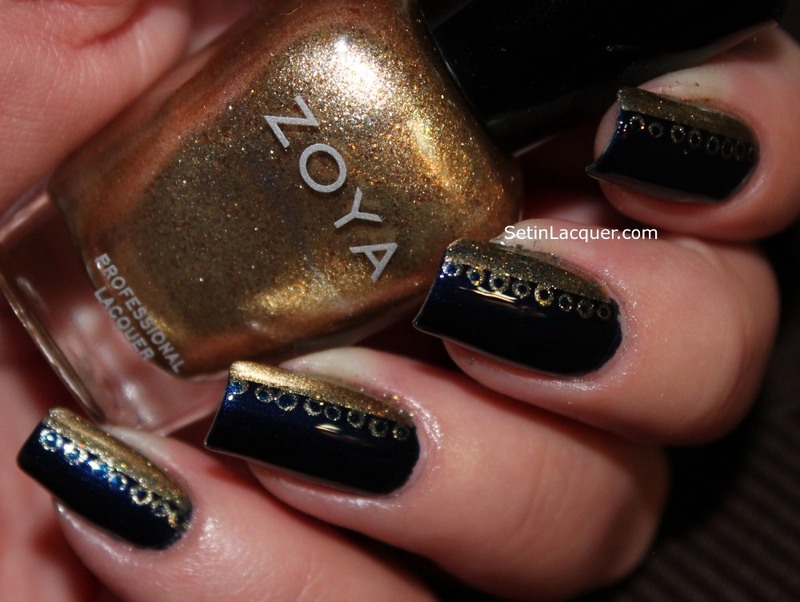 Ziv - is a metallic gold foil with silver highlights and warm gold flake glitter accents. The gold flakes are subtle and provide enough extra to make this more than a regular gold polish. Zoya polish can be purchased at Zoya.com for $8 per bottle. I often have to remind myself that simple is nice. Rather than trying to create a complicated manicure I decided to fall back on something that I know works well - dots and stripes. For this manicure I used a base color of Barielle Wrap me in Ribbon. It is a rich and shimmery burgundy/wine color. After the base color dried I applied curved stripes and dots using Barielle Brown Sparkles. It is a gorgeous shimmery light shade of bronze. You can make your own dotting tools using everyday items around your house. If you want to learn more about that see my post here. These polishes were purchased by me and all opinions are my own. 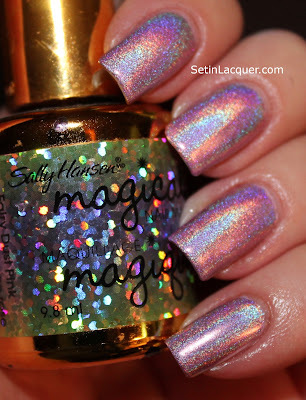 For my Think Pink mani I used Sally Hansen Magical Fairy Dust Pink. Sally Hansen Magical is a older holographic polish I found on eBay. It is quite stunning and full of holographic prisms. I have been counting down the days until the Color Club Halo Hues collection was released. 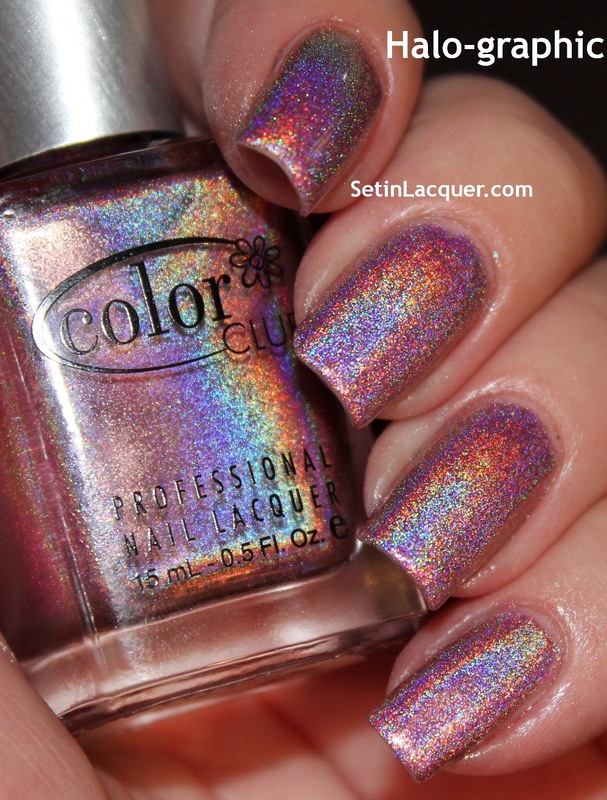 On October 4, 2012 Color Club released this amazing collection. Halo Hues made it safely to my house last night and I set to swatching. The formula was great. 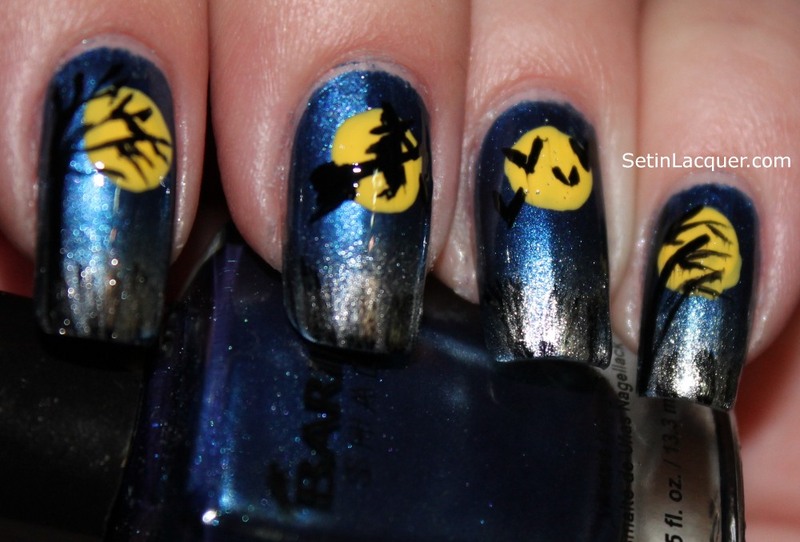 Each only needed two coats for opacity. The dry time was pretty fast and the shine is phenomenal. The linear holographic shine is impressive. As with other holographics it can be shy in normal light but not as much as others I have seen. I do think if you are longing to add some of these to your collection you can get by with a few of them. Some of them are similar to another in the collection. My only complaint with these polishes was that it was almost impossible to get the cap off. I need to open the bottles before I put lotion on and it would help. That was sheer torture. All that holographic shine in front of me and not being able to get to it. But I conquered it! Lets move on to the holographic goodness! 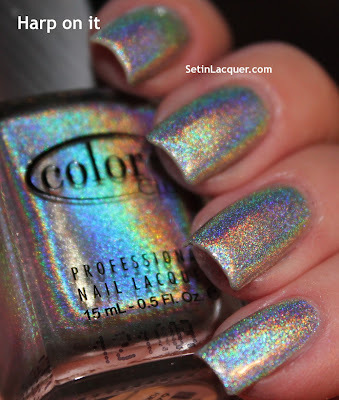 Angel Kiss - A soft sea foam green with a strong holographic shimmer. 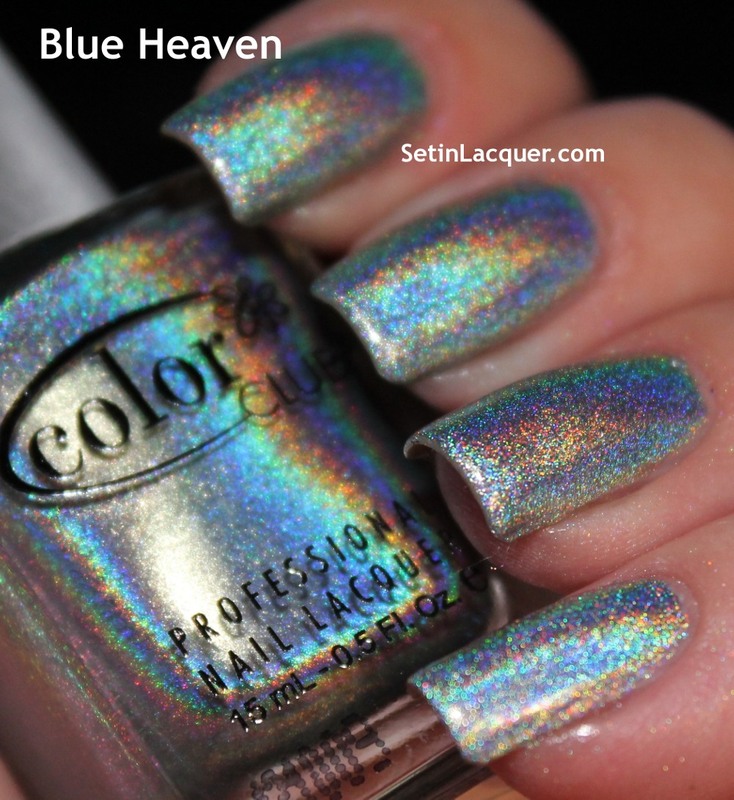 Blue Heaven - A soft shimmery blue with a strong holographic shimmer. In some angles it appears with a strong silver shimmer. 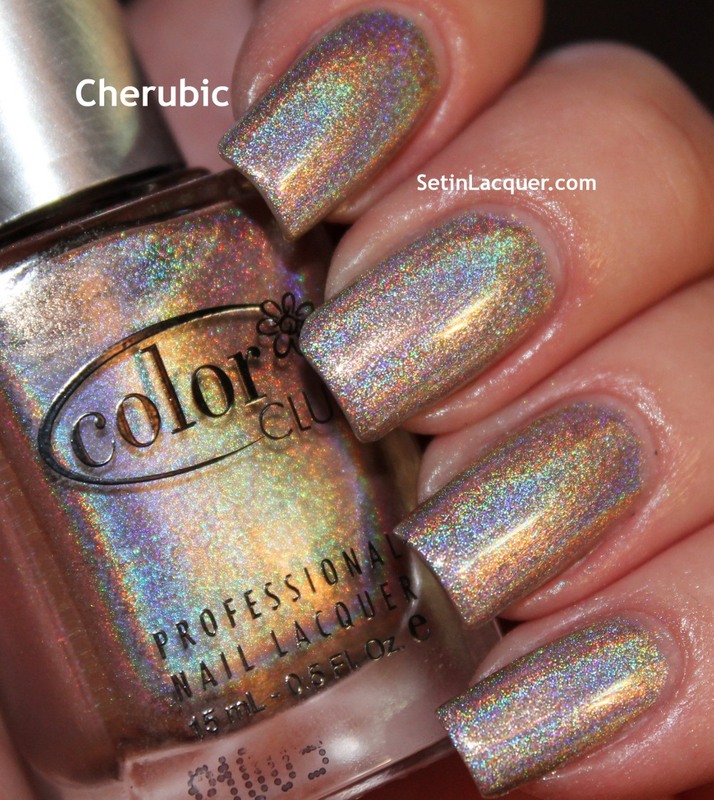 Cherubic - A soft rose shade that is completely stunning. 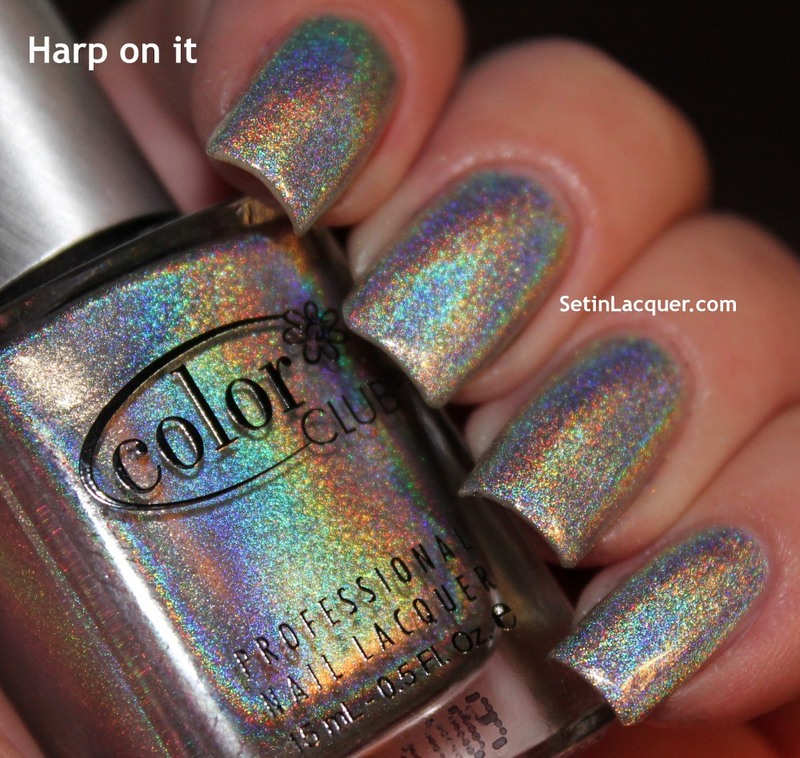 Again it has a strong holographic shimmer. Cloud Nine - a deep rose shade. This is probably my favorite of the collection. A mesmerizing holographic shine. Halo-graphic - similar to Cloud Nine but with a deeper rose shade. Harp on it - A sensational silver that reflects the colors of the rainbow in a stunning holographic display. Color Clubs can be purchased online at http://www.shopcolorclub.com/ for $10. Some people have reported finding them at supply stores for lower prices. Amazing giveaway from Barielle - 10 winners!